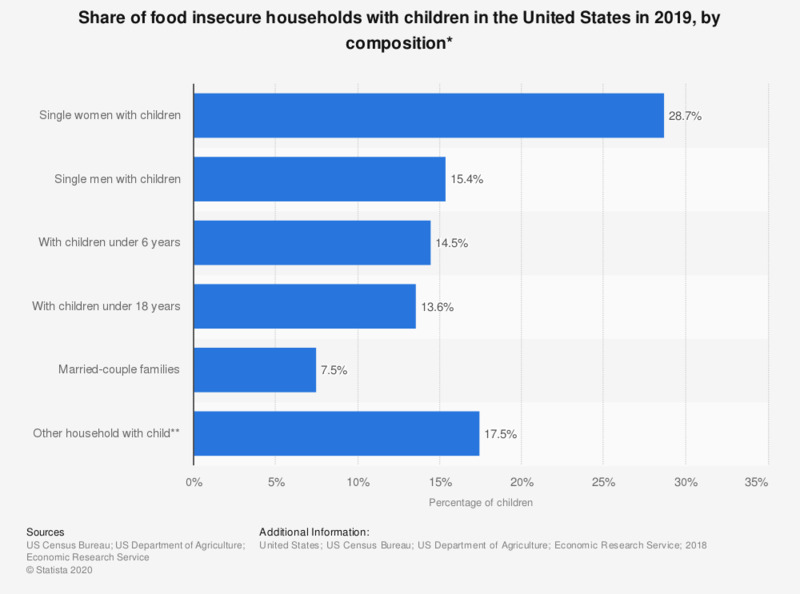 This statistic displays the share of households with children with food insecurity in the United States in 2017, by composition. Some 30.3 percent of households comprising of single women and children were classified as food insecure in 2017. * Food insecure defined as low or very low food security. ** Households with children in complex living arrangements, for example children of other relatives or unrelated roommate or boarder. Everything On "Children's food and beverages" in One Document: Edited and Divided into Handy Chapters. Including Detailed References.